Contains guidelines to help you prepare for a home inspection so you can avoid delays during a real estate transaction. Shows you what a home inspector looks at when inspecting your property, and what kinds of problems he/she might find. Presents you with a checklist of items on your property to look at so you can write notes, take photos, and set the status of each item into a log. Stores these logs for you to share with your real estate agent or contractor via Message, Mail or AirPrint. Allows you to create a To-Do List to quickly report what needs to be worked on before the inspection. Can also be used by property owners or renters before move-in and/or at move-out to track any work that needs to be done. 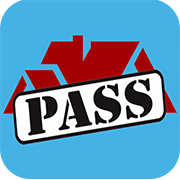 Is simple to use and Home Inspection Ready is FREE! Home Inspection Ready is Copyright © 2015 Tucson Software LLC. All Rights Reserved.